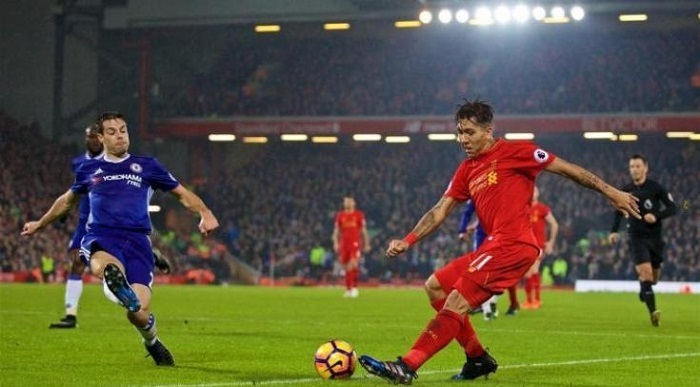 This Wednesday night two high-flyers to meet at Anfield in the EFL Cup as Liverpool hosting Chelsea. Liverpool currently are the first in the Premier League table as a follow-up to six encounters, recording 18 points with the striking difference of scored\conceded goals – 14-2. No wonder Liverpool vs Chelsea preview is in favour of the hosts recently betting Southampton 3-0. Now Chelsea celebrate their third berth in the table with 16 points in 6 matches being ruthless both in attack and defense. Anyway, the squad feels not quite in the right place after a tie with West Ham 0-0. They’ll certainly put their best efforts to restore themselves in the eyes of their supporters. Chelsea: Arrizabalaga, Azpilicueta, Luiz, Rüdiger, Alonso, Barkley, Kante, Kovacic, Willian, Hazard, Giroud. Liverpool: Becker, Trent, Matip, Virgil van Dijk, Robertson, Wijnaldum, Henderson, Salah, Shaqiri, Mane, Firmino. Both teams are currently in perfect shape. Both teams won’t sit back on the bench and wait for a miracle since they get the importance of a cup match. Their last 5 head-to-heads at Anfield ended with Both to Score to succeed. The game most likely to take place at the centerfield that’s why we probably won’t see so many goals scored. However, they’re supposed to score at least once. Like the prediction but the odds too low? Get to know how profit betting sports in our article!